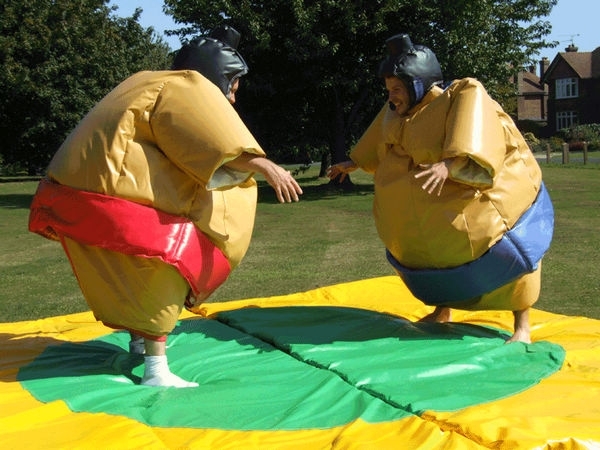 Sumo Wrestling has been around for 200 years, but our inflatable Sumo wrestling suits have perfected the art! Rivals face off Japanese style in padded body suits! They will wrestle and belly bump each other out of the ring until a final champion is named! A great way to add some friendly competition to your event and a ton of laughs!